2.When turned on the light up magic spinning ball wand looks like hundreds of flying meteors. 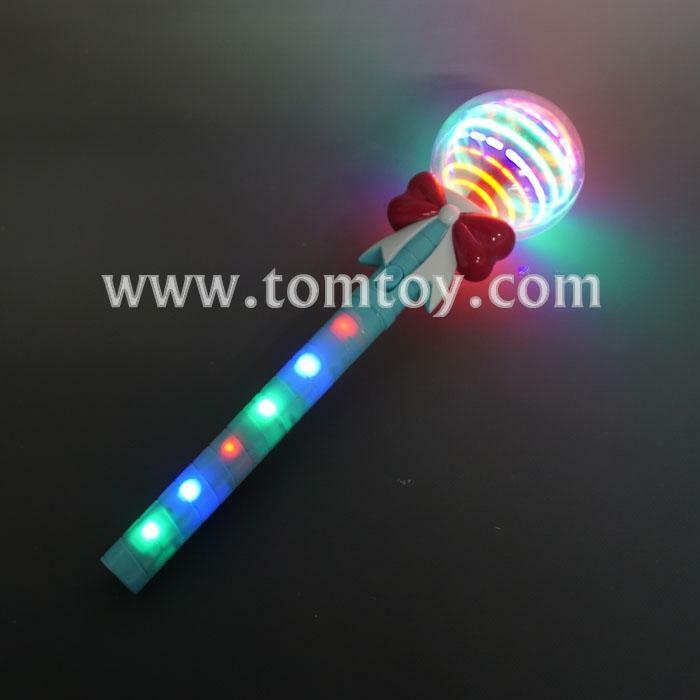 3.Each wand consists of numerous red, blue, green and orange LEDs attached to a star that internally rotates in a rapid fashion within a safe closed ball. 4.Various light patterns are sequenced to give an amazing light show. 5.Three AA batteries are required to operate and are included.